Restore your blond locks to their former glory and get salon beautiful hair with Lee Stafford Bleach Blondes Conditioner. Its patented Pro-Blonde complex with panthenol, chamomile and moringa seed extract will help your hair soft and clean whilst encouraging hair's natural shine. Knock out brassy canary yellow tones on your blond crown by using Lee Stafford Bleach Blonde Shampoo. Specially made for bleached or partly bleached highlight as well as bleached hair. Formulated with patented Pro Blonde complex with Miracle Tree will help restore and refresh your hair back to salon beautiful colour. It will also keep your hair refreshingly clean and encourage natural shine. Protection that helps to stop annoying colour fade caused by styling, sun damage and other environmental factors. 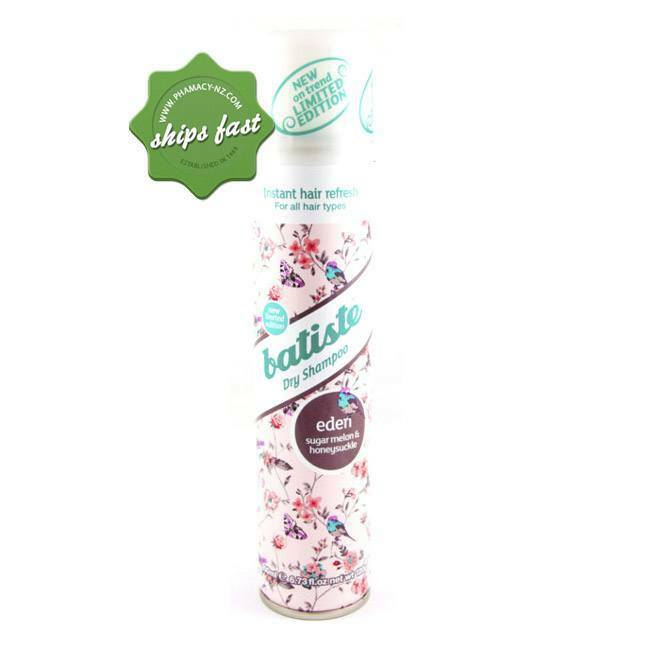 Batiste Dry Shampoo Eden exudes that young, fresh and vibrant scent of summer and spring. A combination of melon and honeysuckle that leaves hair smelling sweet and fruity! Freshens up your hair between washes.